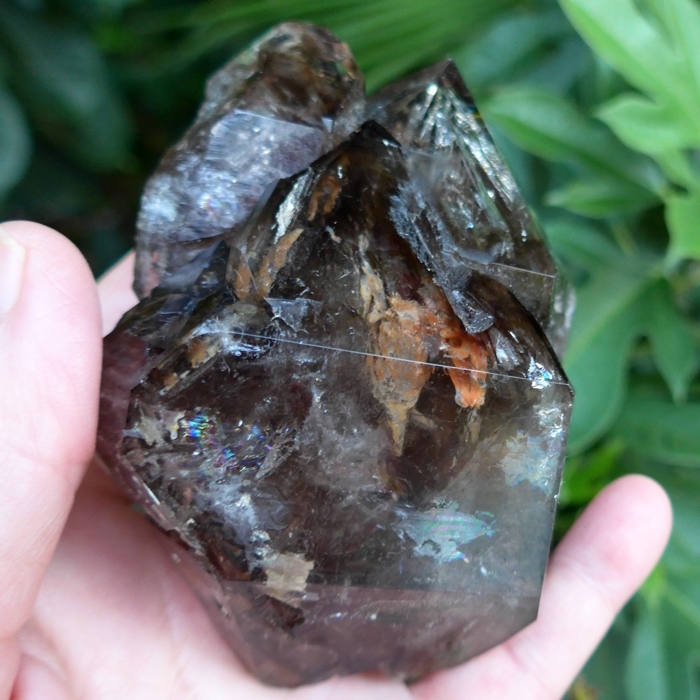 Dimensions (HxWxD): 3.2" x 3.85" x 1.65"
This rare, large, 14.1 ounce, 3.85 inch long Skeletal Smoky Elestial Quartz Crystal Cluster from Brazil is a remarkable centerpiece for your altar, living room table or desktop, yet is still easy to hold in the hand during meditation or energy treatments. This museum quality piece glitters and sparkles with reflections both within the facets and also on the surface. 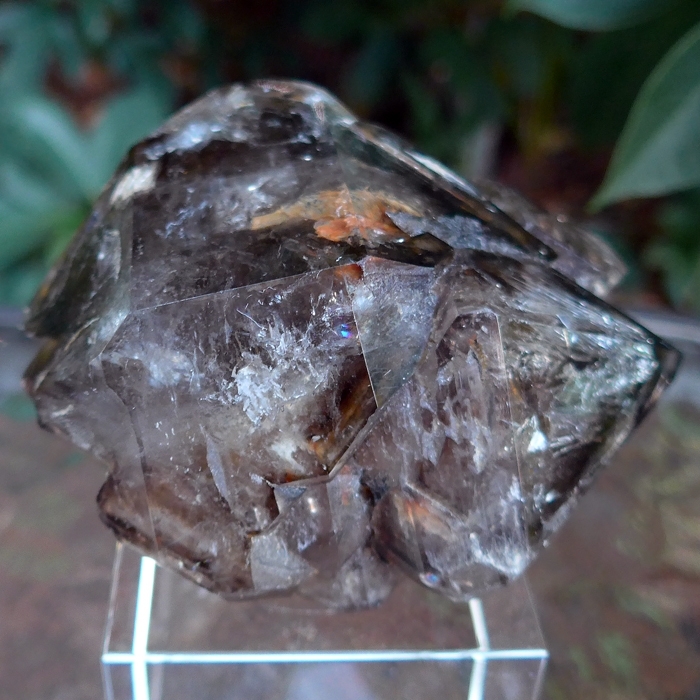 This stunning crystal cluster is wide, with multiple turreted points on top and bottom. 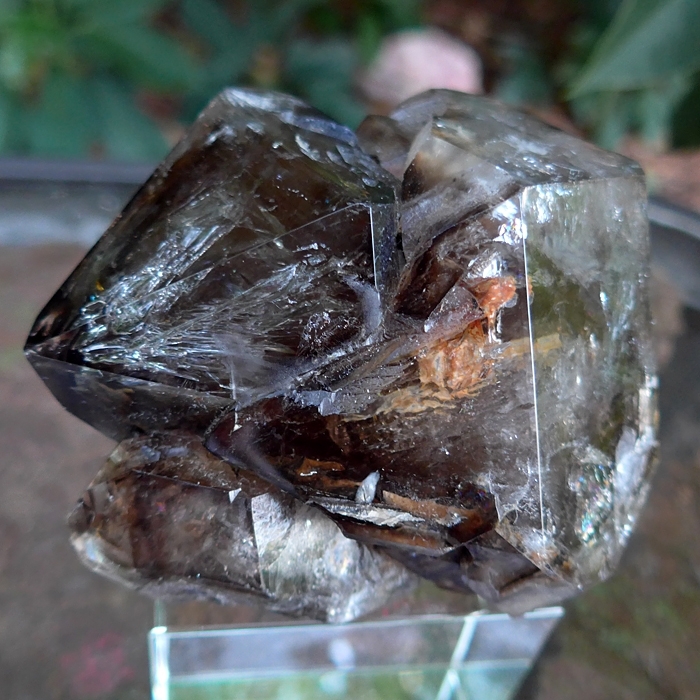 Skeletal quartz is also known as Jacare Quartz and can be identified by the unique internal and external features created by unstable geological conditions during a lengthy period of crystallization. 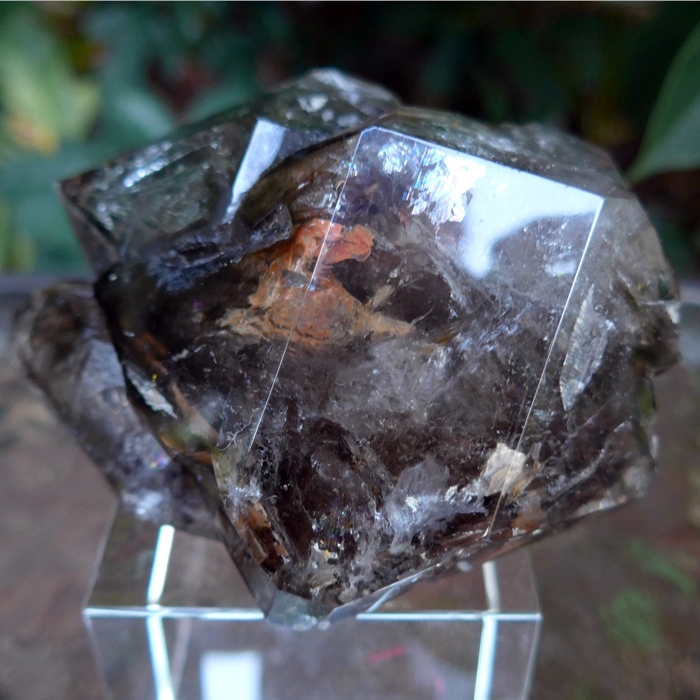 This beautiful piece features etched macroscopic crystals with pronounced, layered internal cavities forming geometric patterns related to hexagonal, rhombohedral and pyramidal structure common to this type of quartz crystal. Skeletals often contain clay minerals of varied colors, sometimes accompanied by carbon dioxide or water. 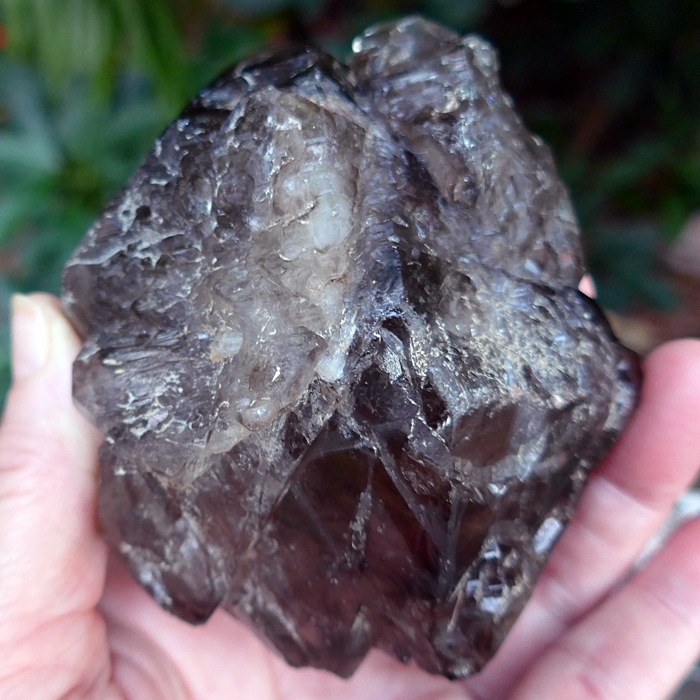 The hollow skeletal cavities often exhibit easily visible layers, and this ribbing is sometimes so pronounced as to make the crystal appear somewhat hollow, which led to the name skeletal quartz. Note: Weight above is shipping weight. Net weight is 14.1 oz.